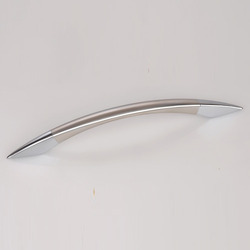 Leading Manufacturer of door handle, coloured door handle and interior door handle from Rajkot. Finish: S.S.M, C.P.T/T, ST/T, B.A. 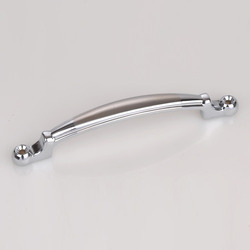 We are engaged in manufacturing and supplying of Latest Door Handle, under the specified range of products. These handles are designed in accordance with our customers' preferred choices and are regarded for their durability & look. We are offering these products at market leading prices and with the assurance of long term usage. Coloured Door Handle are being manufactured and supplied to our customers, as per the prevailing market trends & customers' requirements. We have introduced this range, so that customers could have optimum products for their fitting needs. These handles are available in various designs with assured durability & stain resistant capability. Under our specified range, we have brought forward Interior Door Handle for our customers. 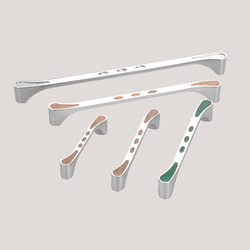 These handles are manufactured using finest quality steel and are offered with the assurance of long-term usage. Designed specifically to offer our customers, optimum solutions for hardware fittings, these products have gained huge appreciation in the market.